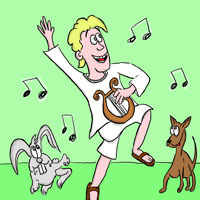 This electronic pack includes the stories 'Theseus and the Minotaur', 'Daedalus and Icarus' and 'Orpheus and Eurydice'. Written and illustrated by Gareth Pitchford, these new versions of popular Greek myths feature the tales of Theseus, Orpheus and Icarus. Available as a download or on a Windows CD-ROM the resource includes printable versions of the story as well as interactive whiteboard presentations. 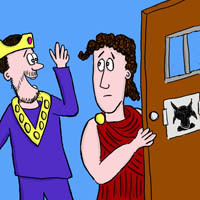 The 'Theseus and the Minotaur' myth pack can be used by Key Stage 2 primary teachers to deliver objectives on myths and legends in the National Primary Strategy. 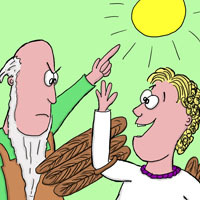 Part of the Primary Extra Quick Myth series, each story is presented through full-colour cartoon illustrations and simple, easy to understand text.